Nothing like a good sip after work. 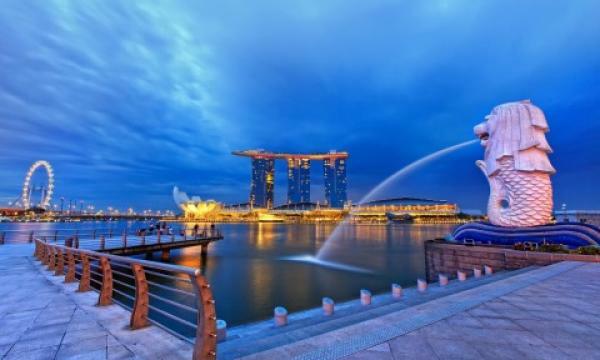 Singapore Business Review worked with hotel comparison website trivago.sg to put together a list of ten of the best hotel bars in Singapore. Guests can catch the New Year’s Eve fireworks from one of the tallest hotels in Singapore, or try fancy tipples at downtown gems in the city. Whether you’re a time-pressed hotel guest seeking a night cap or a group of friends looking to make merry, there’s something for everyone in these centrally-located bars. Clink in for a convivial time this festive season. Located in Mandarin Orchard Singapore, Bar on 5 offers a bird’s-eye view of the city’s famous commercial belt. The bar features a wide selection of single malt whiskies and specialty coffees to cater to varied tastes. The swanky Blu Bar on level 24 of Shangri-La Hotel offers stunning views of Singapore’s nightscape. Guests can watch the sun set while indulging in custom cocktails, premium wines and champagne by the glass. Astor Bar at The St. Regis Singapore is a picture of wood and leather and prides itself on its array of vintage champagnes, acclaimed wines, and premium international spirits. J Bar at M Hotel is a favourite downtown secret of after-work crowds. The contemporary-styled bar showcases live band entertainment to go with its drinks and tapas. Halo is a rooftop enclave on Wangz Hotel, a luxury boutique hotel in Tiong Bahru, one of Singapore’s oldest and trendiest neighbourhoods. The breezy alfresco space affords guests an expansive view of Singapore’s skyscrapers. As the name suggests, this one is for the martini lovers. martini bar at Grand Hyatt Singapore is part of mezza9 which is the first-of-its-kind in Asia, combining nine different dining and entertainment experiences in a single venue. Class and culture blend at Long Bar of the colonial-style Raffles Hotel. 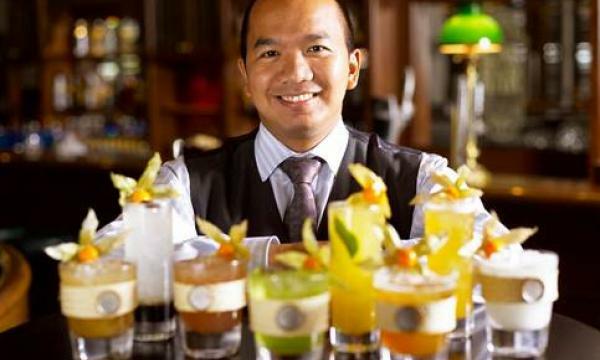 The birthplace of the world-renowned Singapore Sling cocktail is often hailed as one of the top ten bars in the world. Elevate your senses at KU DÉ TA at the peak of Marina Bay Sands, more than 200 metres above sea level. The award-winning lifestyle venue offers unobstructed 360-degree view of the city skyline – a great vantage point from which guests can watch Marina Bay fireworks. Soak up the dusky vibes at Fabrika on level 17 of klapsons, The Boutique Hotel. The open-air sky terrace bar is a perfect spot for sunset cocktails, evening party spirits, champagnes and beers. New Asia Bar, perched 71 floors atop Swissôtel the Stamford, takes sophistication to new heights. Revellers can take in the stellar city skyline through the floor-to-ceiling windows of the opulent two-storey establishment. The first floor consists of the dance floor and bar - the choice venue of many chic parties, while the VIP area covers the second floor.